From the minute she walked through the door at Friendship Centers in 2016, Teddy Picard knew she was in the right place. Recently retired and bored, she was feeling useless and down in the dumps, and was looking for more out of life. Picard had worked in advertising sales, real estate, and sold timeshares and home warranties, all while raising children in Sarasota, so she was used to staying busy. She knew she wanted to stay active in her retirement, but hadn’t found the right fit. Then her daughter, who worked at Friendship Centers, invited her to come see what the Senior Center in Sarasota had to offer. Picard opened the thrift shop in a small room at the center, and after 6 months it was so popular that she needed more space. The shop sells items mainly of interest to women, including clothes, costume jewelry, accessories, CDs, DVDs, and small household items. Picard spends about 12 hours a week in the center as the store’s manager, and another 3-8 hours a week organizing, washing and pricing the clothes and other items that are donated mostly by center members. She has also grown a team – 7 volunteers help her run the store from 10-3 PM Monday-Friday each week. 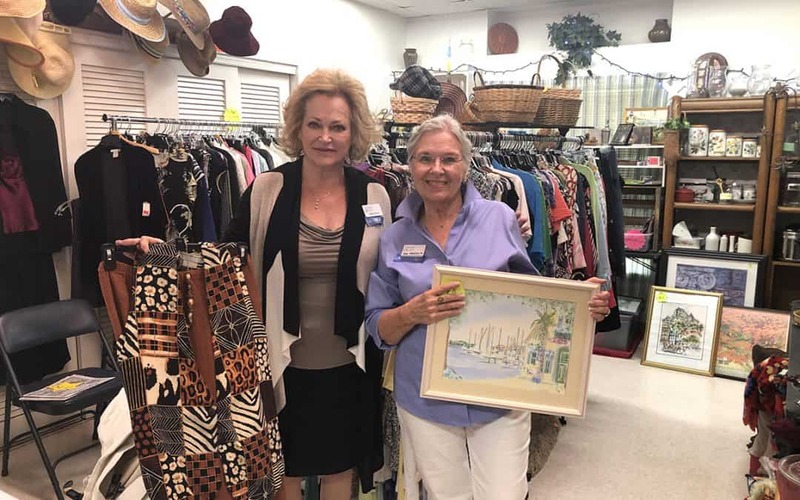 All proceeds from the Thrift Shop support the Friendship Centers, about $200-400 per week. Picard has donated more than her time, and has recruited family to the cause as well. On April 3, she will host the store’s third fashion show during the center’s regularly scheduled live music and dancing. Ten models will wear two outfits each, and strut the runway during the band’s 20-minute breaks at 1:30 and 2:15 p.m.